Jaya Jaya karunaabdhe Shree Mahaadeva Shambo! 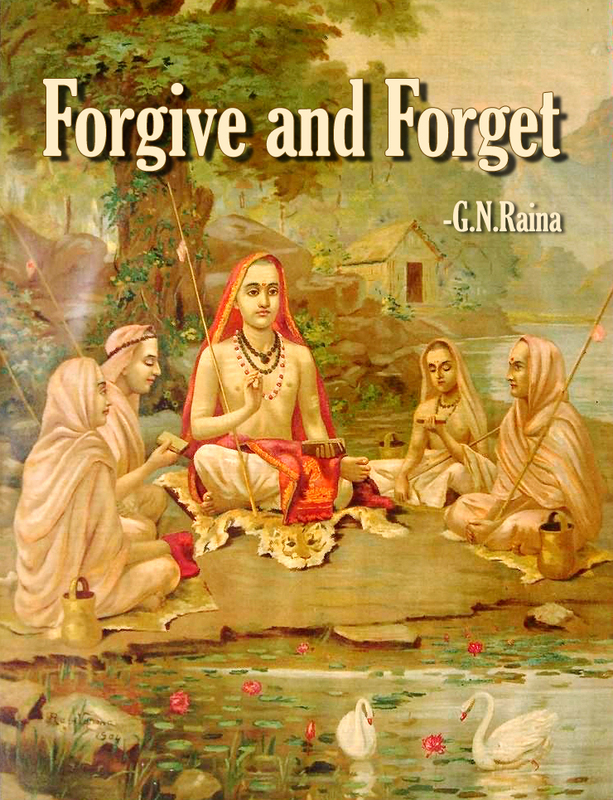 Sankara’s invocation with its potential of bringing peace to the aching hearts and souls has given birth to the concept of ‘forgive and forget’. To forgive is not to forget. Forgetting is not hard, for all one needs is a bad memory or treat the incident as insignificant. But to forgive is to make a new beginning, to start all over again. It does not take away the hurt; it merely ceases to obstruct the path of a new beginning. By forgiving you can walk together into the future. What happens when one forgives. The rancor, anger within, which otherwise eats the very vitals, is automatically washed out, thus purifying the system. And one becomes 24-carat gold, soft, solid and shining. Mark Twain captures this quality when he writes, "Forgiveness is the fragrance the violet releases as the foot crushes it". The famed Greek philosopher, Epictetus, said 2,000 years ago: "It is not he who gives abuse that affronts, but the view that we take of it. Your hurt comes from not what others do to you, but from what you choose to do with their actions. If you change your attitude about the hurt, you will soon find elimination of your victim status." What the great philosopher-king, Marcus Aurelius, hints at is the noble act of forgiving. What constitutes forgiveness, one may justifiably ask? Well, the answer is simple. Forgiveness is a mental act aimed at wiping the slate clean so as to evolve a thought process that could lead to restoration of the one who may have caused hurt to your affection, estimation and trust. Quit difficult, but not impossible! It is a psychological truism that resentment nursed and stored in our minds and hearts may diminish with the passage of time but does not completely disappear. It takes a long, long time to overcome the negative feelings and even longer time to adopt a positive approach. We may give many chances to our fellow beings; yet we cannot escape the tendency to remember how, where and by whom we were hurt. 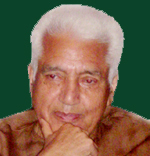 A British political columnist once said that “the human brain stores a special file marked ‘hurt’, access to which is by a protected, priority route short-cutting all other information.” While all the data in the brain may be misplaced or hit by a virus, but the ‘hurt file’ starts flashing into our present consciousness the moment something occurs involving the person or persons causing hurt. Thornton Wilder is right when he says that ‘hurts, stored and wrapped in layers of forgiveness and understanding, sink into the heart like a stone”. Forgiveness, they say, is nothing but self-kindness for it releases us from the anger, pain, bitterness, fear and even illness. It also releases us from our past. The beauty of forgiveness lies in freeing a person from the need to get even. In the west, particularly in America, where even school-going children carry guns and shoot whoever they want in their school campuses, researchers have initiated a science of redemption based on age-old religious precepts. For a student of psychology, there are therapeutic, social and practical reasons besides the religious impetus to forgive. This applies to victims of crimes as well as to those who must deal with the slings and arrows of more common misfortunes-faithlessness, betrayal, ungratefulness and mere insult. Many Americans would not agree with Mitchell Wright, for, to them, forgiveness is often seen as effete and irresponsible inasmuch as it to condone the offense. Of all the acknowledged good acts, forgiveness is the one they are most suspicious of. They ask, of what value is forgiveness that can be so easily manipulated. Centuries ago Jewish sages declared: “He that is merciful to the cruel will eventually be cruel to the innocent.” What it suggests in effect is that to forgive may no longer be just divine. To err is human, and to forgive is supine, says another thinker, S. J. Perelman. According to a report in the New York Times, scientists and sociologists have begun to extract forgiveness and the act of forgiving from the confines of the confessional, transforming it into the subject of quantifiable research. A number of psychotherapists testify that there is nothing like forgiveness for dissipating anger, mending marriages and banishing depression. Swami Jyotirmayananda in his write-up on Forgiveness narrated an interesting parable about a powerful king whose palace had a top story open to the sky. There the king and queen stayed during the summer season, and slept in their royal bed. One day an elderly servant was sent to prepare the bed. As she was enjoying the view of the sky and feeling the coolness of the breeze, she suddenly decided to enjoy the experience of lying on the velvety bed of the king and queen. But soon she fell asleep, and when the king and queen returned, they discovered her in the bed. The queen became exceedingly angry and immediately sentenced the servant to be whipped by fifty lashes. When the royal attendant started to beat her, she cried out at the first two lashes. At the third and fourth she was calm. At the fifth and sixth, she started laughing. Amazed at her behavior, the king and queen asked her why she was laughing. The servant replied, "I simply wanted to see how joyous it is to be on that bed and now I realize that the price for that pleasure is so painful. If I have gotten fifty lashes for sleeping only half an hour, how many lashes must be in store for you who sleep there every night?" Hearing these words, the king reflected upon her innocence and wisdom and stopped the lashes. He learned a great lesson by observing how a situation that could have caused agitation and bitterness in one’s mind can instead bring the deeper joy of philosophical understanding. The Puranas recount an interesting story about Sage Brighu. In early times, there was a discussion among the gods as to who should be worshipped as the greatest among the three Deities: Brahma the Creator, Vishnu the Sustainer, or Shiva the Destroyer. Eager to settle the question, great Sage Brighu said he would take up the experiment of testing the three deities. Reflecting within himself, he thought, "I will consider him the greatest who is endowed with the greatest degree of forebearance, who has the greatest control over his temper." With this idea in mind, Brighu first proceeded to Brahma Loka, the heavenly region where Lord Brahma dwells. Once there, Sage Brighu walked past Lord Brahma without touching his feet and offering the traditional adoration.. Brahma could not tolerate the misconduct of the Sage. His eyes grew red with anger and he was about to pronounce a curse on Brighu. Then Goddess Saraswati, Brahma’s divine consort, restrained him, saying, "O Lord, do not be angry with Brighu. He has always been courteous before. There must be some explanation for his behavior." Brahma was thus dissuaded and Brighu slipped quickly away. Scarcely believing that he had escaped, Sage Brighu hastened his steps to the dwelling place of Lord Shiva. Approaching the great Deity, Brighu again did not offer proper adoration. Rather, he began to insult Shiva, saying, "O Shiva, you wear snakes around your neck and keep your body smeared with ashes. Surely you must be mad!" At this, Lord Shiva grew angry and reached for his trident, ready to hurl it at Brighu. But Goddess Parvati, Shiva’s divine consort, pleaded for mercy for the Sage and Shiva reluctantly agreed at least for the time being. Fleeing from Lord Shiva, Brighu proceeded to the dwelling place of Lord Vishnu. Lord Vishnu, the indweller of every heart, knew what the Sage was intending to do, and even before Brighu arrived he pretended to be in deep sleep. When Brighu saw Lord Vishnu lying there so peacefully, he kicked the chest of the Deity, saying, "You, the sustainer of the world, how dare you sleep, ignoring the well-being of the world!" In response, Lord Vishnu woke up and immediately clasped the feet of the Sage, saying, "O Sage, your tender lotus foot has been injured by my rock-like chest. What a great sin I have committed. Please forgive me!" Sage Brighu was amazed at the humility of Lord Vishnu. He said, "O Lord, it is I who must be forgiven by you who is supremely compassionate. How can I ever be free of my sinful act of having kicked your sacred chest with my foot? There are people who argue that forgiveness, despite its ‘feel-good’ potential, has problematic reverberations. Can a woman’s healing process be strengthened by forgiving a physically abusive ex-husband who continues to torture her verbally among friends? What, if they are still married and he is still beating her? Should the unrepentant be forgiven at all? Synthia Ozick points out that “forgiveness is pitiless. It forgets the victim. It blurs over suffering and death. It drowns the past. The face of forgiveness is mild, but how stony to the slaughtered. The definitions of forgiveness are many but most people acknowledge that it involves a “giving up of something, whether it be anger, the right to vengeance or the memory of an event the way it really was. 1) What was it like for the person as he or she was growing up? Did the offender come from a home in which there was conflict or even abuse? 2) What was happening in the person’s life at the time he or she hurt you? 4) You will never truly forgive if you have not honestly acknowledged how justified or unjustified the person was to hurt you. There is no gainsaying the fact that the one who forgives is a big person with a big heart. One has to FORGIVE TRULY, not say things like “ I will forgive you, but I can never forget what you said/did!” No! That is not forgiving. When you truly forgive from your heart, then you really mean Let’s forgive and forget!